A group of 70 Azerbaijani servicemen was sent to Afghanistan in accordance with the plan and rotation for serving within NATO-led Resolute Support mission in Afghanistan, the Defense Ministry informed on January 9. Given the importance of ensuring stability and security in this country, NATO appealed to the Alliance's member and partner countries in connection with the increase in the number of forces participating in the Resolute Support mission in Afghanistan. While addressing the NATO Headquarters in Brussels on November 23, 2017, President of Azerbaijan, the Supreme Commander-in-Chief of the Armed Forces Ilham Aliyev, noted the increase of the number of Azerbaijani peacekeepers since 2018. To this end, the Parliament amended the Resolution “On giving consent to the deployment and participation in the relevant operations in Afghanistan of a platoon of the Armed Forces of the Republic of Azerbaijan as part of the battalion of the Armed Forces of the Republic of Turkey and under the general command of NATO structures” on December 29, 2017. 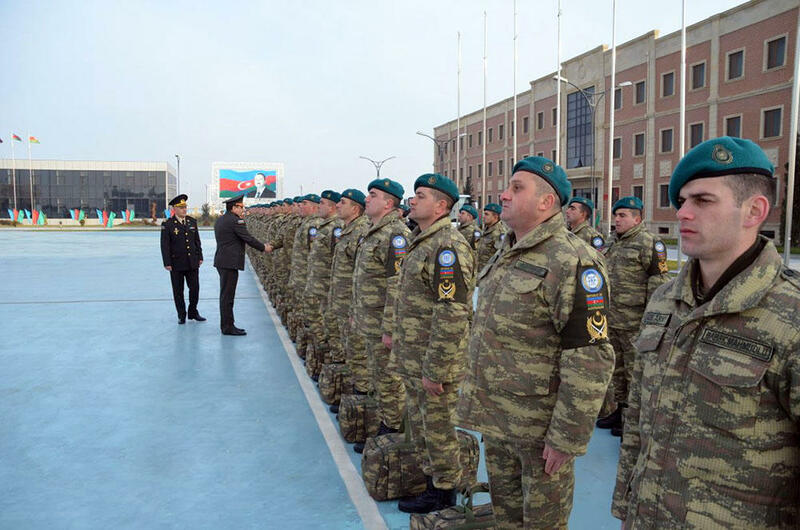 The Defense Ministry, in its turn, in cooperation with the relevant state structures of the country and the NATO command, has completed all necessary procedures on the increase in the number of the Azerbaijani peacekeeping contingent. Thus, in order to ensure international peace and support of partners, the number of Azerbaijani peacekeepers has been increased from 94 to 120 servicemen since 2018, including six Azerbaijani officers, who will be represented at various headquarters of the Resolute Support mission, as well as two military doctors. Azerbaijan has several times made substantial donations to the Afghan National Army (ANA) Trust Fund. Moreover, Azerbaijan supports Afghanistan on its path of reforms towards integrating into regional and global economy. Furthermore, Azerbaijan allowed the NATO planes carrying non-combat loads for a mission in Afghanistan to fly through Azerbaijan’s airspace and to use the country’s airports. 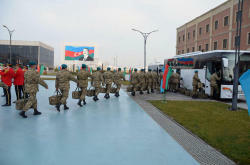 About 40 percent of all cargo destined for the NATO mission in Afghanistan pass through Baku. Today, Azerbaijan actively participates in peacekeeping operations in Afghanistan and in restoration of the Afghan economy. During the meeting with the Azerbaijani President in November 2017, NATO Secretary General Jens Stoltenberg appreciated the country's participation in the NATO peacekeeping missions in Kosovo and Afghanistan and expressed gratitude for the support rendered by Azerbaijan to Afghanistan. He noted the expansion of Azerbaijan's assistance to Afghanistan can contribute to the economic development of that country. Resolute Support is a NATO-led training, advisory, assistance, and counter-terror mission in Afghanistan, which began in January 2015. It is a follow-on mission to the International Security Assistance Force (ISAF), which was completed in December 2014. Currently, more than 13,000 troops from 39 countries serve in the Resolute Support Mission in Afghanistan. About 28 countries are increasing their troop numbers in the mission.